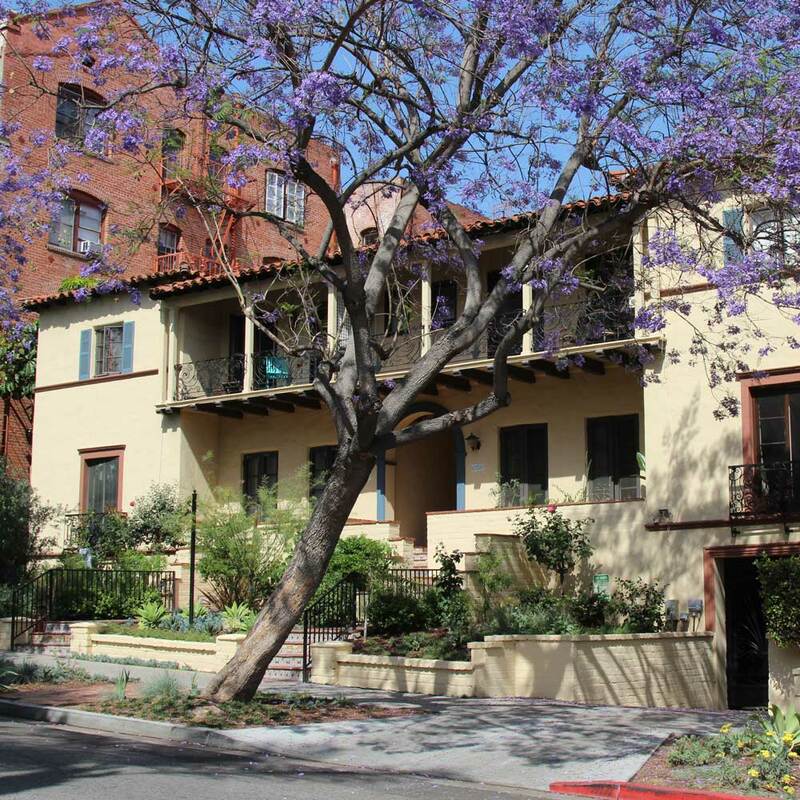 1338 Harper Avenue, also known as the Villa Sevilla, was constructed in 1931 and is a part of the Harper Avenue Historic District and Courtyard Thematic District. The buildings within the Harper Avenue District embody distinctive characteristics of various period revival architectural styles. The Monterey Revival building at 1338-52 Harper Avenue possesses similar, yet simpler, features as well as recessed balconies, which are typical of the style. The Harper Avenue District reflects significant patterns of growth and settlement in West Hollywood. The location of the district between Beverly Hills and Hollywood and adjacent to the developing Sunset Strip, made it an increasingly attractive residential area in the 1920s. The multi-family form and luxury of period revival styles were new to the West Hollywood community, which, until the 1920s, had been dominated with simple single-family development. For more information search our database.